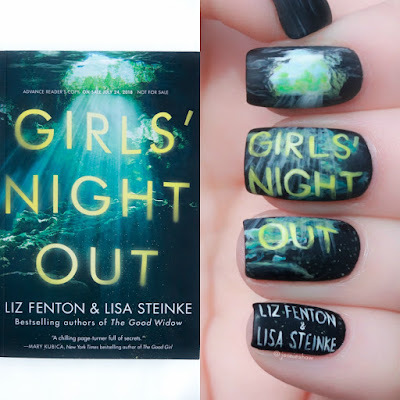 I’ve been waiting to read GIRLS’ NIGHT OUT since May. 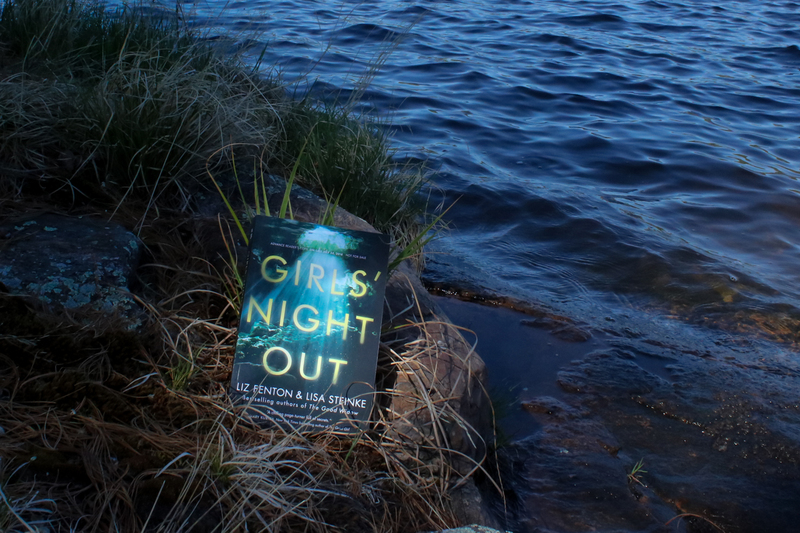 The ominous cover demanded some sort of aquatic picture, so I brought it with me when The Remix and I took an anniversary trip to a secluded island. With no shortage of amazing places to try, the only downside to my bookstagram-athon was my increasing desire to read the book. That is the point, of course, to read and review ARCs, but I don’t like to read too far before publication dates, as it's hard for me to not immediately scream about a book when I love it. Well, last week, I finally cracked the spine (metaphorically, of course) and holy cannoli, I'm happy I waited because... *gets megaphone* YOU NEED TO READ THIS BOOK. Female friendships are a special sort of relationship. When solid, they’re unbreakable connections, fierce and firm. But when cracks appear, whether they stem from betrayals, miscommunications, or the simple process of growing in different directions, the cracks are almost impossible repair. Any sort of dispute can cut deep, because the cut comes from somebody who knows all the skeletons in your closet, who's seen you at your best and worst, who you always thought would be in your corner. When that doesn't happen, trust vanishes in an instant and the friendship can never be the same. At its core, that’s what GIRLS’ NIGHT OUT explored. And ooooeeeee, did it feel real. Like, too real. A cast of three can sometimes feel unbalanced, but in this case, Lauren, Ashley, and Natalie acted like a love triangle or sorts, with Lauren and Natalie consistently vying for Ashley’s favour. Fenton and Steinke smoked this type of muddy conflict, where everybody's at fault but unwilling (or unable) to acknowledge their part. One reviewer critiqued these characters for continuing to fight about the same few topics, and to that I say: Um, have you been in a decades’ long friendship? Because when it all falls apart, that’s exactly what happens. Memories are long and the desire to get over hurt feelings doesn’t always result in actual forgiveness. Instead, they lurk beneath the surface, festering like botulism to the soul and before you know it, you're involved in petty fights about nothing when what you’re really fighting about are the hurt feelings that aren't being addressed. That was the most admirable part of GIRLS' NIGHT OUT: the trifecta of awfulness. Through each POV, it quickly became clear to me that there would be no winners. Instead, there were three women with three valid, conflicting perspectives, and no solution in sight. While Lauren, Ashley, and Natalie were trying not to fight (and failing gloriously), they did manage to enjoy a little bit of Tulum’s beachy gorgeousness. That is, until Natalie woke up, unable to remember anything from the night before. In usual circumstances, that wouldn’t have been a problem, but Ashley was nowhere to be found. So despite all the personal drama, Natalie and Lauren had to figure out what happened to Ashley and like the proverbial can of worms, the slithering mass of unresolved resentments were thrust into the light. Talk about making a bad situation worse, eh? Terrible for the characters and awesome for a reader. Haha! 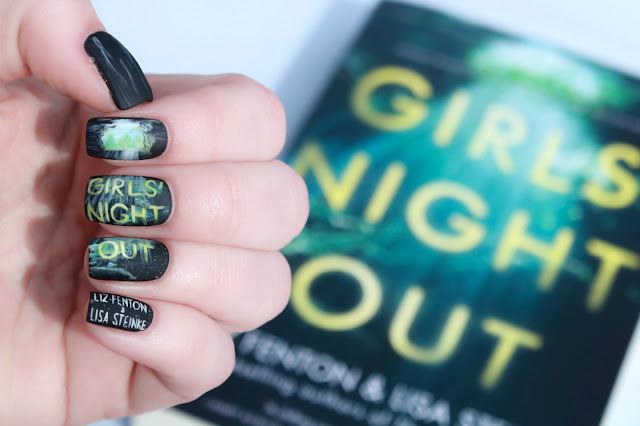 So if you love books that are suspense-central, set in tropical paradises, with characters who begin their journey already at the end of their ropes, GIRLS’ NIGHT OUT is the book for you! Big thanks to Liz Fenton, Lisa Steinke, and Amazon Publishing for an ARC!